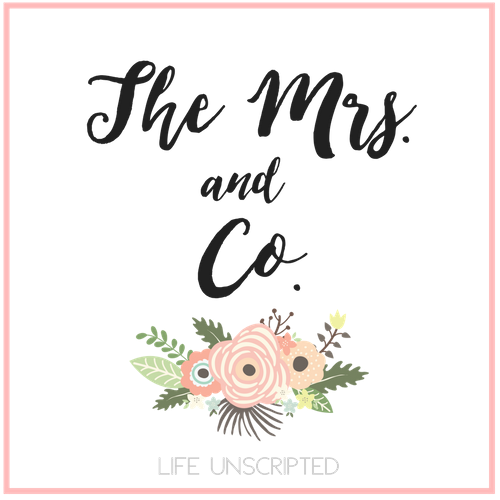 Due Date #1 - The Mrs. & Co.
At first I thought I wouldn't write about our 1st due date, but I firmly believe that God's glory will be brought from all that is lost and I wouldn't be giving God the glory He deserves if I didn't talk about this. Our story is a testament of God's plan for us and looking back over our journey, I wouldn't change a thing, even the heartache and loss. We found out we were pregnant on July 21, 2013 and lost our baby on July 31, 2013. Petri's (that was baby's nickname) due date was this past Saturday, March 29. For days before Saturday, I thought about how I would feel when the day finally came. It's hard thinking about that baby. Even though we are pregnant now, that 1st pregnancy was such an exciting time for us. It was unexpected and exciting! So different from when we found out we were pregnant from IVF. I should have been driving home from the hospital around now. I should be holding our baby in my arms. I should be giving him/her kisses on their adorable cheeks. I honestly never thought we would lose a child. After everything we had gone through and then to add a miscarriage on top of it? I was almost to my breaking point. I was angry. I was so angry. I felt like God had turned his back on me and for about 2 months I turned my back on God, but He never turned His back on me. He had a plan the whole time. It wasn't until I started really thinking about it that it hit me. Our baby Reagan is due July 21, 2014. EXACTLY a year after we found out were pregnancy for the 1st time. God has always had a plan and this is just one more part of our story that I just have to smile. I know that for us to be pregnant with Reagan now, our sweet Petri had to go to Heaven. Reagan was made for us and I can't wait to meet her, but I will always remember our 1st child. Without that baby, our sweet baby wouldn't be growing inside of me now. I know when July 21, 2014 comes around this year, it will be one of the most joyous days of our lives just like July 21, 2013 was. I know our sweet Petri will be looking down from Heaven on the day that his (I always thought Petri was a boy) sister is born saying "It's ok mom. I'm here and I'm so excited for my little sister!" God brings joy through sadness and this is no different. We love you little Petri and I sometimes can see you sitting in God's lap as he tells you all about us and we can't wait to meet you one day. I would be lying if I said it doesn't hurt knowing that I will never hold you in my arms, but I know you are in best arms anyone could ever have wrapped around them. I am so incredibly blessed to have you in my life. I cried while reading this post, but it was a different cry. An emotional cry yes, but every single thing you said was ringing true in my heart. Watching you walk this hurt was painful from the outside but also watching you grow in the Lord...what an incredible blessing. I saw myself looking to the Lord more from watching you grip his word and promises through all of this. Can't wait to meet sweet Reagan and one day sweet Petri. Love you more than words can express! What a touching post. I sit here with tears in my eyes as I relive the feelings of our loss. I pray that nobody I know has to feel the pain in which we have felt. I have so much anxiety about when our expected due date comes. I am a rambling mess about this topic as well but in my head. The feelings are so raw and still so fresh. I have followed your blog for sometime now and cannot wait to see sweet pictures of your sweet baby girl!! Ohhh my goodness. I had tears in my eyes reading this. You are so strong in your faith in God and you are a terrific mother to Reagan and to your angel baby. As your due date comes around the corner (it really isn't that far away!) I will be praying for you. I have no doubt your angel baby is always watching over you.